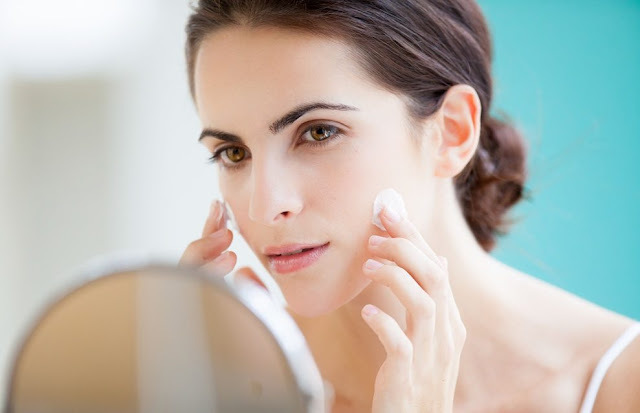 The cause of the appearance of zits can due to lack of maintaining the cleanliness of your face area. Oily face, the rest of the make up and dirt on the face can be a trigger for acne. For those of you who have acne problems, try not to miss this first step. Make sure you always regularly clean your face every day so that pimples don't appear. It turns out that ice can give a cooling effect on the facial area with acne. Ice cubes are also able to decrease inflamed blood vessels so they are effective for treating acne quickly. Even though it's practical, it's a good idea not to put ice cubes directly into the face area. This will actually make the skin sensitive and reddened from it. You should first wrap the ice cubes using a towel or a clean cloth before compressing into the zit area. Tea trees have long been believed be one of the effective ingredients in fighting acne. This is because the anti-bacterial content in it can relieve irritation due to acne. So when pimples appear, you can try using products that contain tea tree as part of your beauty medicine. Aloe vera gel is indeed beneficial for acne prone skin. With a cream that absorbs quickly on the skin, you can make aloe vera gel as a moisturizer for acne prone skin. So even though your oily skin type still needs facial moisturizer to keep your skin healthy and not dry. You can also use aloe vera gel as a toner mixture to sprayed on the pimpled face area. The next best way to get rid of zits in 3 days is to try a lemon mask. The acid content in lemon can cut oil and redness on the face. The citric acid substance in it also acts as an agent capable of killing bacteria that cause acne. You can try a lemon mask by mixing lemon juice with 2 tablespoons of honey. Rub lemon and honey thoroughly into the face for 10-15 minutes, then rinse with warm water. After that, don't forget to use moisturizer. Not only from outside, acne can also arise from internal factors such as consuming processed foods, junk food, dairy products, and high-fat foods. It's good to reduce these foods as long as you have acne. Because the food above was able to become one of the triggers for new problems in acne prone skin. Regularly consume healthy foods such as vegetables, fruit, and wheat so that the body gets good and balanced nutrition. 0 Response to "6 Effective Ways to Get Rid of Acne in 3 Days!"